Our hearts are heavy as we wake up to our last full day in Anghiari. Most of the packing is done and it always amazes me how much more we leave with than we came with. I don’t think we buy that much, but somehow it adds up. We had loaned Francesco a bag when he was at our home in Atlanta last time and he gave it back to us at our lunch with him. Good thing we had it. If not, we would have to buy one. The day is spent saying goodbye and memorizing favorite views and places. For our last lunch, we wanted eat “light” because we are having dinner with Rossella and Michelangelo tonight and that always means lot of food. We went to our favorite pizzeria and Steve had a plate of spaghetti with olive oil and garlic, one of his favorites, and I couldn’t resist having one last pizza. What’s light about this lunch? Beats me, but it at least it wasn’t three courses. I also had to have one last gelato. 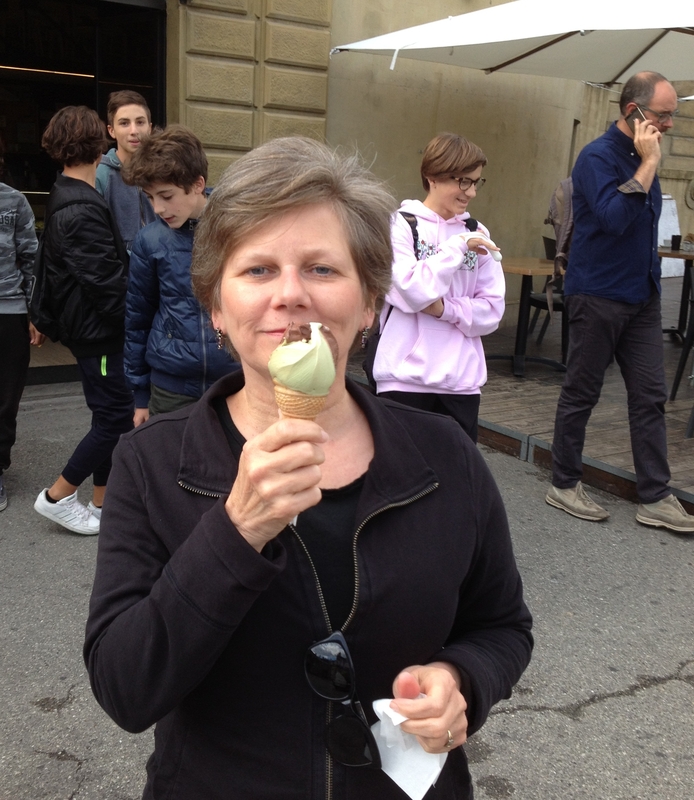 We’ve had gelato all over Italy and have supposedly had the best in several cities. Honestly, I think the gelato at the Bar Teatro in Anghiari is right up there with them. I love it and if I could figure out a way to ship it to Atlanta, I would do it. It makes me so happy. Dinner was a bittersweet feast. Michelangelo just got back from Madrid on a business trip and brought back some chorizo and some other cured meat that no one seemed to have a translation for. Let me translate it – yummy, good stuff. 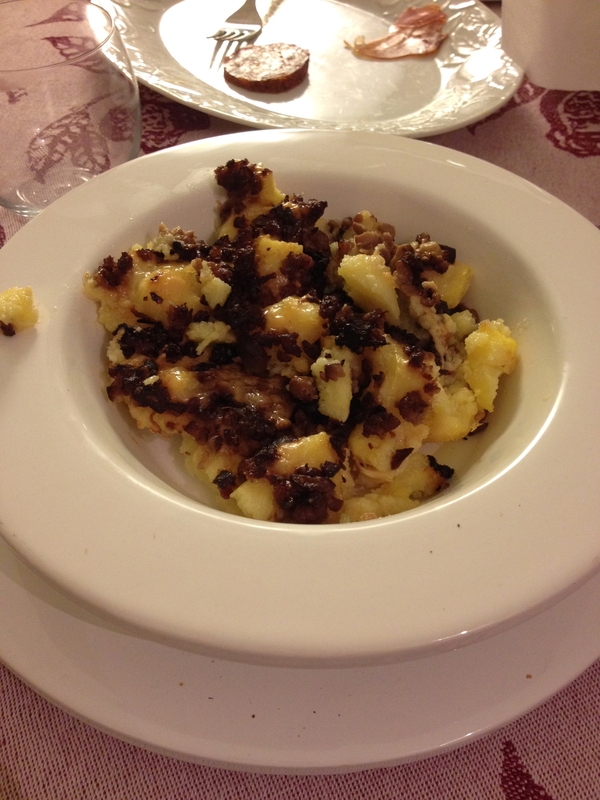 And the chorizo – it’s unlike anything I’ve every tasted in the US. Dinner was baked polenta with sausage and porcinis. We certainly got our fill of fresh porcinis this trip. So glad we timed our trip to coincide with the last of these treasures. Another great evening with friends that we seamlessly pick back up with even though our absences from each other are very long. It’s a natural friendship that transcends generations, language, and nationalities. The best kind.